Congratulations to the Love That Book Team! A big congratulations to Carmen and the whole Love That Book! 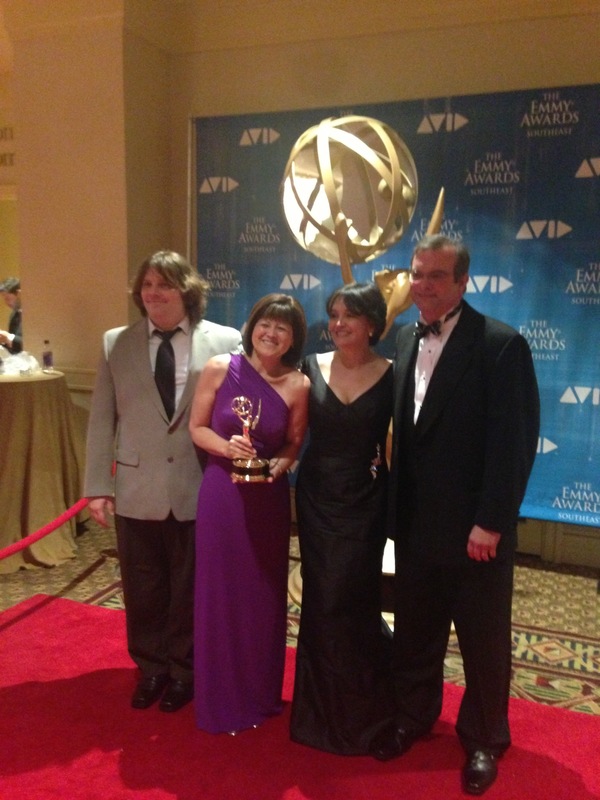 Team for winning an EMMY this past week! This is the show’s third EMMY win since it started three years ago. You can read more about it here and check out the Love That Book! website here to view this seasons episode’s online! I absolutely love you and your books. I love the passion you use in the books! I hope I get to read more of your books, I wish I own them all!!! I sent an email to Ms. Erin Grace. I am writing to make sure that email arrived. We were (1) sharing a project that grew out of reading 14 Cows for America on 9/11 and (2) seeking an email address for Mr. Naiyomah so we can share our student-made condolence offering. Because we would like our act of sympathy to be as timely as possible, I was just making sure that the email for Ms. Erin Grace was still good and that she received it. I am so glad that you were able to get in touch with Kimeli!